Mention this song title to anyone who lived through the eighties and it's more than likely that they will respond with something like "Ah, that song by Yazz!". However, the track was originally released in 1980 as a single by the soul singer Otis Clay, and was penned by George Jackson and Johnny Henderson. 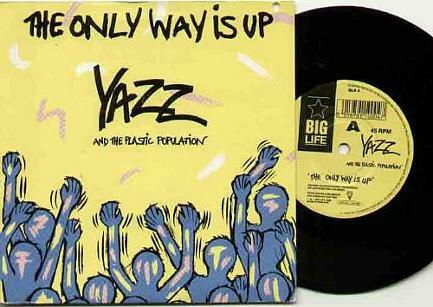 The version we all remember, though, is the one by Yazz and The Plastic Population which entered the British singles chart at No.28 on 17th July 1988, spending five weeks at the top during the summer, starting on July 31st. Glenn Medeiros's chart-topper was down to No.3 with "Nothing's Gonna Change My Love For You" after spending and Kylie's "The Loco-Motion" was a new entry at No.2. The song was particularly popular in the clubs, and I remember people pouring onto the dancefloor (at the Wildmoor night club in Stratford-Upon-Avon) as soon as they heard that opening horn roaring from the speakers - that horn was actually sampled from the 1982 dance single Beat The Street by Sharon Redd, which became a No.1 on the U.S. Dance Charts. The song featured on the debut album Wanted which peaked at #3 in the UK album charts and also reached #43 in Australia. This was the singer's only successful studio album. The Wanted Remixes reached a chart high of #59 during 1989 in the UK. I still remember a performance by Yazz on Top Of The Pops which aired on Christmas day afternoon on BBC1 in 1988. Now, those were the days weren't they? Spending a relaxing festive afternoon sat with your family watching TOTP, and then trying to find an excuse to disappear as the end credits rolled across the screen, just before the Queen's speech was aired! Yazz's distinctive features are the result of having a Jamaican father and a white, English mother. Before the success of "The Only Way Is Up" (which was produced by Jonathan More and Matt Black from Coldcut) the singer had provided vocals for the dance hit "Doctorin' The House" by Coldcut which hit the charts during the spring of 1988. 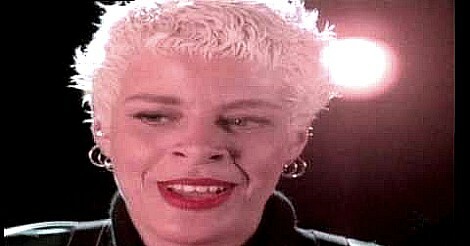 Yazz's follow-up single "Stand Up For Your Love Rights" reached No.2 in the UK.